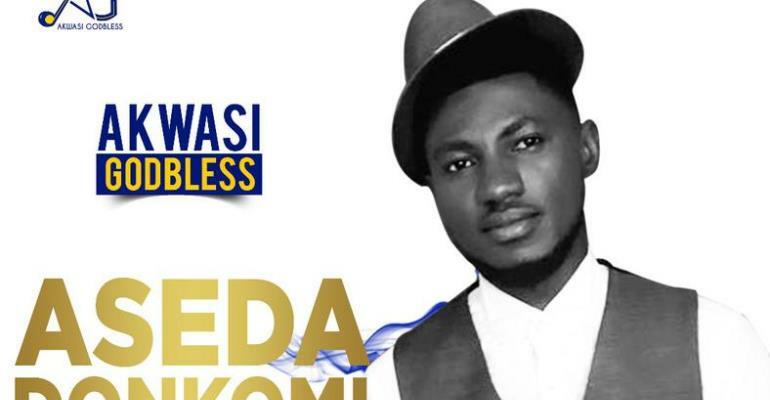 Just as expected, Ghanaian Gospel Musician, Adjei Ebenezer Godbless popularly known as Akwasi Godbless on Stage has released the much-awaited song titled 'Aseda Donkomi'. 'Aseda Donkomi' is a song birthed from a place of deep thanksgiving for the innumerable blessings of God in his life's journey. Speaking to the media, he said: "I come from a poor home but was able to complete the University since when you don’t have money is difficult to school." The song was produced by Richkeys. The song also has a high possibility of grabbing some top awards in Ghana.